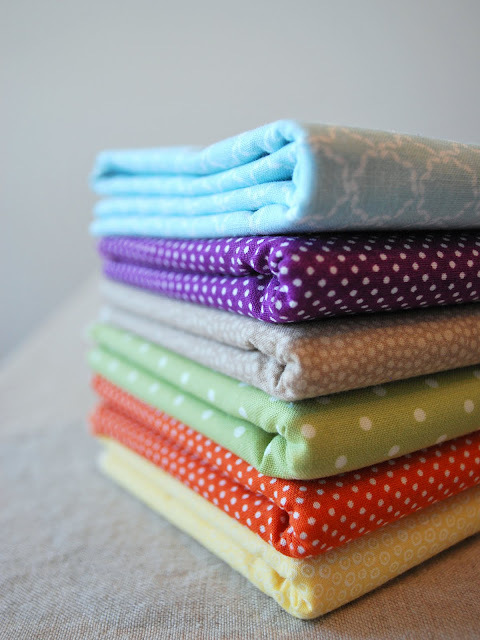 Bijou Lovely: my first quilt: the fabric. 9 my first quilt: the fabric. These pretty fabrics are currently occupying my sewing table, all washed and ready to be turned into my very first quilt! Those fabrics look so cute together, can't wait too see what the quilt will look like! I love all of those fabrics - especially together! Definitely not your grandma's quilt! I love the blue and the purple fabric. What size quilt will you be making? I can't wait to see it! I wish I could sew! Want to make me one of those quilts? The fabrics are incredible! I love the patterns and colors together! Can't wait to see how it turns out! Gorgeous fabric choice. Love them! I also love all of those patterns together! It's going to look great! Hoe fun! i am sure it will turn out great, I am excited to see the final product. I love making quilts!